On your mark; get set; SHOP!! That’s right – today is the 1st day of FREE SHIPPING, which lasts all this week! – Shop BIG! As you know, the shipping cost is a minimum of $9.95, or 10% of your purchase price. So right there – you’re saving at least $9.95; even more if your order is over $100! – Shop from the current Weekly Deals – get a fab discount on awesome products; then shop again on Tuesday, from the new Weekly Deals!! With no shipping! – Stock up on all of the 2013-2015 In Colour products that you don’t want to run out of! That means anything in Crisp Cantaloupe, Coastal Cabana, Baked Brown Sugar or Pistachio Pudding. Make sure you have all the ink pads, re-inkers, cardstock, baker’s twine, markers and embellishments in these colours BEFORE the Last Chance List (retiring list) comes out. They’ll be gone before that sale even starts! Make sure you take advantage of this awesome opportunity, because it only happens once a year (maybe twice, if the stars are shining brightly on us!). Last week this deal was only for a weekend – this year, we have a whole week! Ordering is easy-peasy; you can click on my ‘Shop Now’ button at the top of this page, or you can CLICK HERE to go directly to my store. You can also call or email me (604.298.0472 debsmart@shaw.ca) with your order, and I will gladly place it for you! Are you still reading?! Get shopping! And have fun! Until tomorrow – happy shopping & stamping! 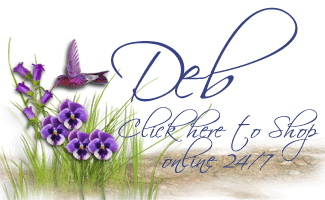 Previous Previous post: Creation Station Blog Tour – Spring has Sprung!